and 3 Gulfstream G650ERs for sale of 161 aircraft, representing 2% of the active fleet. The average asking price is $51,419,000. Click here for the Gulfstream G650/ER February 2019 Market Report. The average asking price is $53,600,000. Click here for the Gulfstream G650/ER January 2019 Market Report. 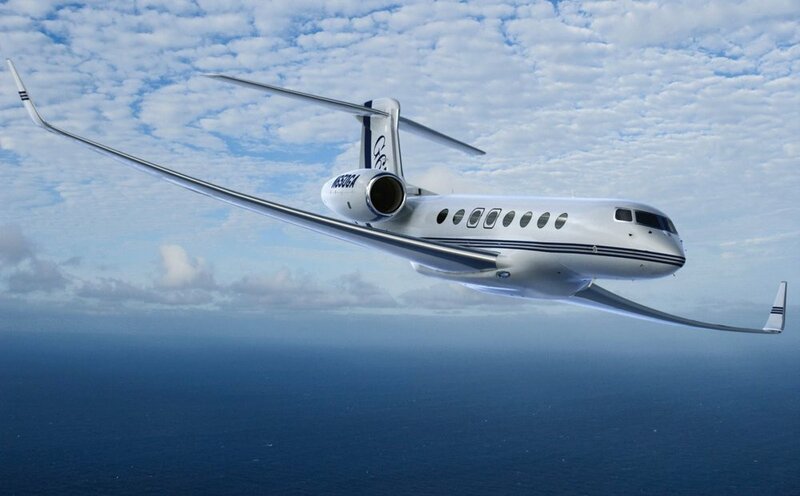 and 4 Gulfstream G650ERs for sale of 160 aircraft, representing 3% of the active fleet. The average asking price is $53,859,000. Click here for the Gulfstream G650/ER December 2018 Market Report. Currently, there are 7 Gulfstream G650s for sale of 226 aircraft, representing 3% of the active fleet, and 4 Gulfstream G650ERs for sale of 159 aircraft, representing 2% of the active fleet. Click here for the Gulfstream G650/ER November 2018 Market Report. Currently, there are 7 Gulfstream G650s for sale of 228 aircraft, representing 3% of the active fleet, and 6 Gulfstream G650ERs for sale of 156 aircraft, representing 4% of the active fleet. The average asking price is $53,796,000. Click here for the Gulfstream G650/ER October 2018 Market Report. Currently, there are 6 Gulfstream G650s for sale of 235 aircraft, representing 3% of the active fleet, and 7 Gulfstream G650ERs for sale of 151 aircraft, representing 4% of the active fleet. The average asking price is $53,867,000. Click here for the Gulfstream G650/ER September 2018 Market Report. Currently, there are 7 Gulfstream G650s for sale of 207 aircraft, representing 3% of the active fleet, and 7 Gulfstream G650ERs for sale of 148 aircraft, representing 5% of the active fleet. The average asking price is $54,557,000. Click here for the Gulfstream G650/ER August 2018 Market Report. Currently, there are 6 Gulfstream G650s for sale of 197 aircraft, representing 3% of the active fleet, and 4 Gulfstream G650ERs for sale of 139 aircraft, representing 3% of the active fleet. The average asking price is $56,564,000. Click here for the Gulfstream G650/ER July 2018 Market Report. Currently, there are 7 Gulfstream G650s for sale of 204 aircraft, representing 3% of the active fleet, and 3 Gulfstream G650ERs for sale of 134 aircraft, representing 3% of the active fleet. The average asking price is $56,423,000. Click here for the Gulfstream G650/ER June 2018 Market Report. Currently, there are 7 Gulfstream G650s for sale of 204 aircraft, representing 3% of the active fleet, and 4 Gulfstream G650ERs for sale of 134 aircraft, representing 3% of the active fleet. The average asking price is $57,194,000. Click here for the Gulfstream G650/ER May 2018 Market Report. Currently, there are 8 Gulfstream G650s for sale of 192 aircraft, representing 4% of the active fleet, and 3 Gulfstream G650ERs for sale of 128 aircraft, representing 2% of the active fleet. The average asking price is $56,321,000. Click here for the Gulfstream G650/ER April 2018 Market Report. Currently, there are 8 Gulfstream G650s for sale of 192 aircraft, representing 4% of the active fleet, and 3 Gulfstream G650ERs for sale of 126 aircraft, representing 2% of the active fleet. Click here for the Gulfstream G650/ER March 2018 Market Report. Currently, there are 8 Gulfstream G650s for sale of 194 aircraft, representing 4% of the active fleet, and 2 Gulfstream G650ERs for sale of 125 aircraft, representing 2% of the active fleet. The average asking price is $55,543,000. Click here for the Gulfstream G650/ER February 2018 Market Report. Currently, there are 5 Gulfstream G650s for sale of 197 aircraft, representing 3% of the active fleet, and 3 Gulfstream G650ERs for sale of 122 aircraft, representing 2% of the active fleet. The average asking price is $57,799,000. Click here for the Gulfstream G650/ER January 2018 Market Report. Currently, there are 7 Gulfstream G650s for sale of 202 aircraft, representing 3% of the active fleet, and 3 Gulfstream G650ERs for sale of 117 aircraft, representing 3% of the active fleet. The average asking price is $56,579,000. Click here for the Gulfstream G650/ER December 2017 Market Report. Currently, there are 8 Gulfstream G650s for sale of 203 aircraft, representing 4% of the active fleet, and 4 Gulfstream G650ERs for sale of 117 aircraft, representing 4% of the active fleet. The average asking price is $57,608,000. Click here for the Gulfstream G650/ER November 2017 Market Report. Currently, there are 9 Gulfstream G650s for sale of 204 aircraft, representing 4% of the active fleet, and 4 Gulfstream G650ERs for sale of 114 aircraft, representing 4% of the active fleet. The average asking price is $57,246,000. Click here for the Gulfstream G650/ER October 2017 Market Report. Currently, there are 9 Gulfstream G650s for sale of 207 aircraft, representing 4% of the active fleet, and 5 Gulfstream G650ERs for sale of 112 aircraft, representing 4% of the active fleet. The average asking price is $57,764,000. Click here for the Gulfstream G650/ER September 2017 Market Report. Currently, there are 11 Gulfstream G650s for sale of 210 aircraft, representing 5% of the active fleet, and 4 Gulfstream G650ERs for sale of 109 aircraft, representing 4% of the active fleet. The average asking price is $58,703,000. Click here for the Gulfstream G650/ER August 2017 Market Report. Currently, there are 11 Gulfstream G650s for sale of 214 aircraft, representing 5% of the active fleet, and 4 Gulfstream G650ERs for sale of 104 aircraft, representing 4% of the active fleet. Click here for the Gulfstream G650/ER July 2017 Market Report.